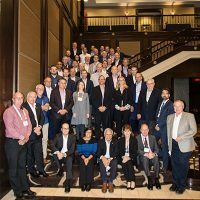 The inaugural 2018 Canadian Environmental Engineering Executives Conference (CE3C) was a great success. Forty companies and fifty-five executives from across the country took part. The feedback from the post-conference survey was overwhelmingly positive and the executives were eager to return next year to continue the dialogue. 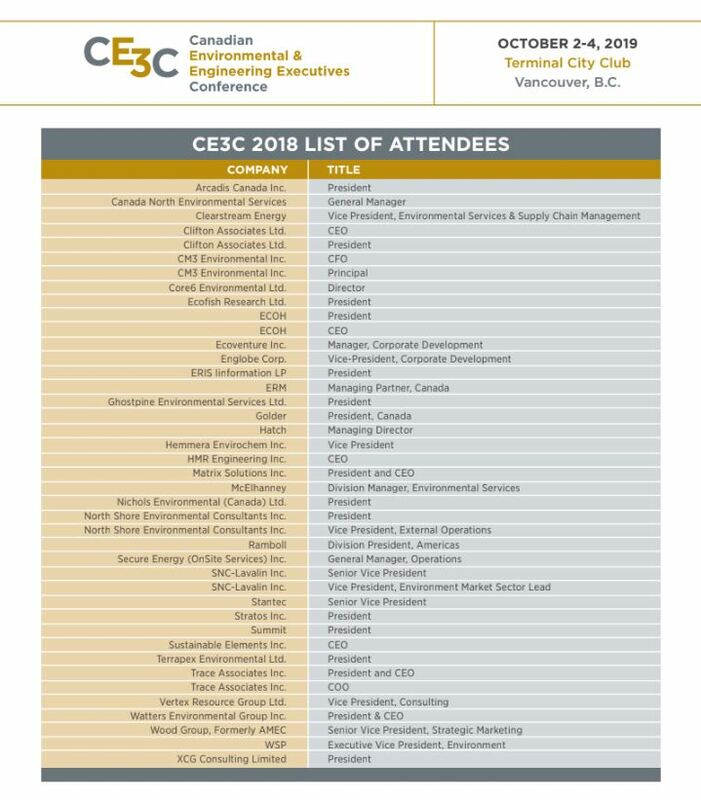 The Canadian Environmental & Engineering Consulting Industry comprises thousands of professionals in various engineering and scientific disciplines. The services provided by the industry support major sectors of the Canadian economy, generate billions of dollars in revenue while creating thousands of direct and indirect employment opportunities for Canadian professionals. The industry is made up of highly skilled professionals with university, college and technical school credentials and designations. The conference provides a venue whereby senior executives in the industry can meet and discuss key issues facing the industry. 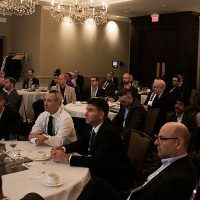 Through a high-level benchmarking of the industry the senior executives will be able to track Key Performance Indicators (KPI) while discussing the KPIs and other relevant operational and corporate topics important to their Canadian operations in a panel session forum at the conference. The many challenges facing the industry include: impact of the economy on the industry; market supply chain management impact; shortage of talent; commoditization of services; globalization of service offering and active mergers and acquisition impact; ownership transition due to aging principal owners; and many more operational and corporate issues. 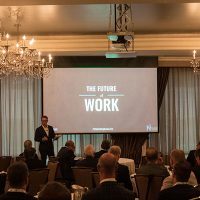 The conference will create a platform through which executives can discuss these critical issues facing the industry and specifically their organization. There will be an excellent opportunity for the executives of the industry, for the first time, to gather, network and discuss many of their common interests.